Being an herbalist and owning an herbal apothecary for seven years, I have spent a lot of time educating people about the different forms herbs come in and helping them decide which form might be best for them based on the herb(s), their preference, and their budget. I wish I could tell you that all plants and plant products (or extracts) you buy in a store are safe for you to consume however and whenever you would like, and that anyone selling you a plant-based product is telling you accurate information on what are effective and safe amounts to consume. Since this is not the case, and there have been a lot of indications that people are confused or misinformed about this topic, I am writing this article to bring some understanding to people who may want to be better educated, especially in regard to the appropriate use of essential oils. I also understand it might be helpful for people to have outlined the many forms herbal medicines come in, and for what and when might they be best utilized. Plants used for therapeutic purposes are often referred to as “herbs” or “herbal medicines”, regardless of if this description is botanically accurate or not. I will outline the major differences in herbal preparations here, utilized for internal consumption: loose, dry plant material (leaves, flowers, upper parts) prepared by infusing in hot water (referred to as a tisane or a “tea”), or (bark, berries, roots) simmered in water (a decoction); powdered plant material that you then mix into any liquid or food and consume or you encapsulate for your own use; capsules which are made of powdered herb or an herbal extract that has had the liquid evaporated off and concentrated in a capsule, or an essential oil in a base oil such as olive oil or other fat-based carrier; tinctures, which are liquid extracts of an herb (any part of the plant that is used) prepared by infusing the plant part in a solution of alcohol, water, and often vegetable glycerine, or glycerites, which are prepared similarly but only using vegetable glycerine and water. There are other herbal extracts, such as solid extracts, which are very concentrated extracts preserved in glycerine or honey that have a thick, molasses-like consistency; vinegar infusions referred to as acetracts; honey and vinegar infusions which are referred to as oxymels; syrups which are typically concentrated water preparations then preserved and sweetened with sugar, honey, or vegetable glycerine. There are others, but these are the most commonly utilized and available on the market for internal consumption. Now, let me discuss another major category of herbal medicine, a specialized extract from aromatic plants commonly referred to as essential oils. I do not put these in the above category for reasons I will outline below, but namely because they are highly concentrated extracts that should be used with great care internally, if at all. Essential oils are volatile compounds that are generally steam-extracted from highly aromatic plant parts such as Eucalyptus leaves, Cardamom seeds, and Lavender flowers. Fresh plant material, such as the leaves, seeds, flowers, bark, or roots of a plant, are harvested, and shortly thereafter this material is put into a metal still (often stainless steel, sometimes pounded copper, or other such metals). The plant material sits upon a screen over a vat of hot water. Because the volatile components in the plants are so small, they rise up in the steam, which condenses into water droplets as it travels quickly through cooling ducts, and then drips into a collecting vessel. As the water accumulates, a thin layer of this volatile substance (what we refer to as an essential oil) forms on the top of the water. Eventually this will be decanted off, and this is a true, steam-distilled, pure essential oil. It takes pounds and pounds of plant material to make a small amount of this very concentrated volatile extract, so they are meant to be utilized in small amounts. Primarily, essential oils are best utilized for their desirable properties through inhalation, either by inhaling directly from the bottle, from a tissue or handkerchief with a few drops of essential oil dropped on it, adding to a diffuser and inhaling from there, or doing steam inhalations over a bath of hot water. Essential oils are also well-absorbed by the skin making their way into the bloodstream and carried throughout the body. The absorption rate varies widely due to many factors, such as the density of the tissue to which the essential oil is applied, the substance it is mixed with, and the essential oil itself. When applied to the skin, these volatile oils should be diluted in a carrier oil (olive oil, jojoba oil, a skin cream, etc.) before applying directly to the skin. Lastly, essential oils are utilized in internal preparations for treating various conditions. This is not advised unless you have been properly trained and know how to administer them safely, in a carrier substance to protect your mucus membranes, and for a limited amount of time. This is because essential oils are highly concentrated and very well absorbed into the body. Due to their chemical composition, they can be irritating to the sensitive membranes of the mouth, esophagus, or stomach if not diluted properly. Furthemore, essential oils are processed through the liver and kidneys, and these oils can be taxing to them as they are excreted and eliminated out of the body if taken internally or inhaled in excess. When would you use which form? In broad terms, tinctures, capsules, teas, and powders are used for internal consumption and are best for long term use of herbs, such as the use of astragalus root to strengthen and build your immune system, turmeric for its anti-inflammatory & antioxidant effects, and milk thistle for its liver restorative effects. Tinctures and capsules are generally also used for acute situations, such as an impending cold, anxiety, or a headache, because of their ease of use. Tinctures have the advantage of already being in liquid form, so are readily and quickly absorbed by the body so can have their effect quicker by taking them straight or in a little fluid. The tea form of herbs can also be utilized for acute situations, but obviously the tea must be prepared and consumed by the cupful multiple times/day. If you are at home or work where tea brewing equipment is readily available, or you brew the tea ahead of time in larger quantities and bring it with you, tea is also a water extract, so is readily absorbed by the body. Another thing to consider with different herb forms is what is the best extraction method for a particular plant. Some herbs have desirable constituents that are more water soluble so come out well in a tea (marshmallow root and nettle leaf are two good examples). Some herbs contain constituents that are more fat soluble, so are best extracted in alcohol or in some cases vegetable glycerin (osha root and milk thistle are two examples). The powder or capsule form would work for either water-soluble or fat-soluble constituents, depending on the body’s ability to break down the herb and extract what it can use. This brings me to an important assessment for deciding which form of herb for people: how strong (or weak) is their digestion? If it’s not strong or poorly functioning (i.e. with chronic constipation, a lot of indigestion or gas and bloating), the body may not be able to break down and absorb the desirable constituents in the capsule or powder form. Presumably, then, a tincture/glycerite or tea form would be best. Essential oils can also be used in acute situations by inhaling them deeply for such things as wheezing or shortness of breath, anxiety, and trouble falling asleep. They are best applied topically to local areas of pain, such as for muscle stiffness or spasm, inflammation of the joints, or for bacterial/viral/fungal infections (or to prevent them). Essential oils can also have effects internally by applying topically, such as applying to the temples and base of the neck for headaches, relaxation, and for immune system stimulation. They can also be applied to the arch of the foot, which is a common place to massage diluted essential oils for systemic effects. In the air, essential oils can be diffused or spritzed to have a relaxing, focusing, respiratory clearing, or immune stimulating effects, where they exert their effects by activating the nasal receptors and binding to or killing viruses, bacteria, mold, or fungus in the surrounding environment preventing the spread of these potential invaders. As for their internal use, my training suggests that essential oils are best used for short-term, acute situations involving bacteria, parasites, viruses, or other pathogens. In this case, you would dilute in an oil such as coconut oil and apply locally to areas in the mouth or gums, apply as a suppository in cocoa butter for vaginal or rectal infections or even for effects on the local organs surrounding that tissue, like the colon or urinary tract, or consume in a olive oil-filled capsule with 2 drops of essential oil several times/day to act on intestinal pathogens, to balance hormones, or other systemic effects. I was trained to take no more than 3-5 drops of the essential oil per day and to limit internal use to 2-4 weeks, maximum, depending on what you’re treating. Ideally, you’d be under a health professional’s care when taking these internally for these acute situations. Again, this is because these are very concentrated plant extracts that can be damaging to mucus membranes and can be hard for the kidneys and liver to metabolise and excrete it used in excess. In short, for acute situations, I recommend tinctures primarily for internal use and inhalation and/or topical application of essential oils for acute situations and/or short-term use. For long-term use, tinctures, teas, capsules, and powders can be used, but knowing about the plant constituents and their solubility and having a sense of the persons absorptive ability due to their digestive function are important considerations when choosing the form of herb. I hope you, dear reader, have found some of this information helpful, useful, and/or clarifying. 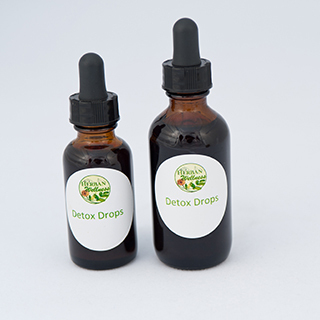 http://www.herbanwellness.net/wp-content/uploads/2016/04/detox-drops.jpg 320 320 Katya http://herbanwellness.net/wp-content/uploads/2018/05/HerbanWellness-logo-340x98sm.png Katya2016-04-15 23:38:442018-09-17 20:33:52Tinctures? Teas? Essential Oils? When & why might you take these different herbal preparations?